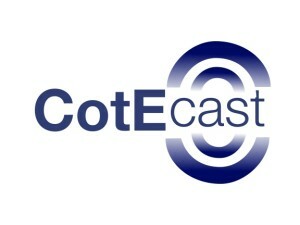 Next month, we will be recording our first CotEcast (Care of the Elderly podcast). The format of the show will be round-table discussion, debate and analysis of issues related to the care of older patients. One of our aims is to make the project as interactive as possible, which we believe will add to the value of the show. Ultimately, once we have established ourselves and become comfortable with recording CotEcast, we would like to do a live broadcast. However, as it might take several months before we are ready to to this, we initially want to engage you – our audience – by inviting you to contribute to the themes and topics that we will be discussing. We have set up a ‘crowdsourcing’ page on our site, where we will announce the subject of the next show and ask listeners to share their thoughts and opinions with us, either by tweeting us (@ElderlyMedEd) or by filling out a web form on our site. The best submissions will get mentioned (and attributed) in the show, and will hopefully help to generate further material to talk about – both in CotEcast and in the wider sphere of social media. The episode will be published at the end of July – watch this space!